The vast majority of dealings between solicitors and clients are conducted in an efficient and satisfactory way. However occasionally, for a variety of reasons, problems can arise and when this happens it is important that solicitors deal with the situation efficiently and in accordance with the Solicitors (Client Communication) Regulations 2008. The Client Complaints Committee is continuing with its series of seminars to assist the profession in understanding the types of complaints received by the Society, suggesting practical ways to avoid complaints arising and outlining procedures to effectively manage complaints when received from clients. This seminar will focus on client complaints received in the practice area of Family Law and will discuss common themes of complaints including a lack of detailed costs information, communication problems, a delay in the resolution of cases and failing to respond appropriately when complaints are raised in-house. The session will be delivered by Suzanne Rice, McKeown & Company Solicitors. Suzanne is a collaborative divorce Solicitor, advanced advocate and accredited panel member of the Children (NI) Order 1995 by the Law Society of NI and NIGALA. 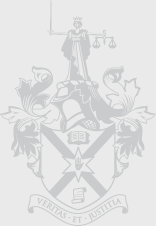 Suzanne has also been a member of the Law Society’s Client Complaints Committee.